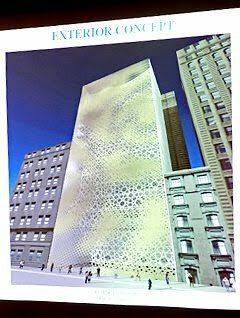 Secular fundamentalists are fond of quoting Thomas Jefferson in the debate over the Ground Zero mosque headed by an imam with well-established ties to Islamic fundamentalism and Islamic terrorism. The quote our friends on the left love is this one: "It does me no injury for my neighbour to say there are 20 gods or no god. It neither picks my pocket, nor breaks my leg." Ah, but what if that god teaches his devoted followers that they have a sacred duty to rip us off and then cut off our heads? In other words, what if that neighbor's god tells him to pick my pockets and break my leg? That's a Model A of a different color. You can't hide behind the First Amendment when your agenda is murder and mayhem. The implication of Jefferson's statement is that, as long as a religion's god does not exhort his followers to robbery and violence, that god is no threat to civil society. Agreed. Which is why I have no objection to the building of Hindu and Buddhist places of worship. The gods of the Hindus and Buddhists do not require human sacrifice, the blood of Americans, as a sacrificial offering. Their gods do not require the extermination of Western civilization. 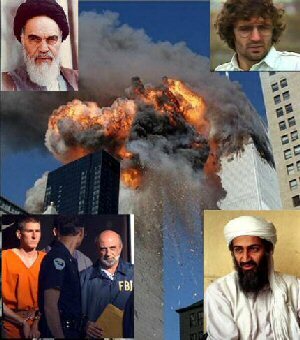 Jack Cashill has a great little piece at American Thinker today, in which he speculates on the reaction from the left if Timothy McVeigh had been a Christian ( he wasn't; he was an atheist who said, "Science is my religion") and his Christian sect wanted to build a 13-story church on the remains of the Murrah Building in Oklahoma City. 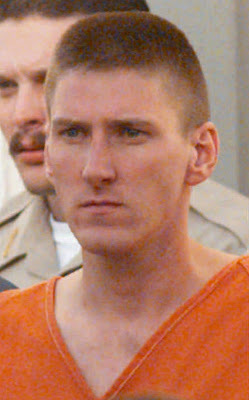 Let us suppose that McVeigh was a member of some particularly wrathful Christian sect, one with worldwide tentacles. Let us say that church members believed in polygamy, genital mutilation, the suppression of women's rights, capital punishment for homosexuals, and the violent imposition of their own law upon the land. Let us say, too, that the less overtly hostile members of that sect chose to build a 13-story church and cultural center overshadowing the Oklahoma City National Memorial & Museum at the site where the Murrah Building once stood. Giving them the benefit of the doubt, let us say that they too pretended that their project was something other than an end-zone dance on the memories of the dead. Given these circumstances, would any liberal anywhere in America, let alone President Obama, make self-righteous noises about this sect's right to religious freedom? Would any liberal anywhere impute bigotry to those who challenged the Church of McVeigh's towering thumb in America's eye? No, of course not. Our progressive friends would be leading the assault against the center. In another place, Jefferson wrote, "Truth is great and will prevail if left to herself. She is the proper and sufficient antagonist to error, and has nothing to fear from the conflict unless by human interposition disarmed of her natural weapons, free argument and debate." Jefferson's exactly right on this one, which is why it is shameful that the left is closing off debate by citing the First Amendment and then sticking their fingers in their ears. They simply refuse an honest discussion about the dangers of Islam and the threat jihadist recruitment centers in the form of mosques pose to our national security. The left, by shouting us down in the discussion over the Timothy McVeigh Mosque, is trying to disarm us of the "natural weapons" of truth, "free argument and debate," and we must not let them. The truth is our chief ally in defending ourselves against Islam and its war on the West. Truth indeed is great, and if left to herself will prevail — and along the way, will prevent the building of a mosque at Ground Zero.